3D printers are devices that allow you to take a model that you’ve designed on a PC, or scanned from a real object, and then build it up layer by layer from plastic. These models can be anything from spoon holders to 1/4 inch lead screw nut adapters, and maybe even full 40K armies. Now at the moment the physical models produced can look very amateur, either due to the printing process itself or because the initial CAD model wasn’t particularly good, however I think both of these will be solved if the technology improves and becomes cheaper. The technology improving part is, I think, almost certain. I don’t think it will take too long before the quality of the materials and resolution of the printing make any home made 40K models comparable to the ones you can buy from Games Workshop in terms of detail. The real question is whether the technology will ever become cheap enough to become a household process? If it does then I think this will solve the issue of poor quality 3D blueprints. The more accessible the technology is, the more likely it is that the fanatics and the obsessed will get involved. These are the people who have made the amazing things like the Lord of the Rings Total War mod, the TF2 Mann Co store and the Steam Workshop possible. To me these three examples show that there are people out there willing to put the time and effort into, in some cases very high quality, 3D modelling for little to no monetary incentive. Now I’d guess that not many people design mods, maps or weapons for games they can’t play and I’d also guess that this will apply to 3D printing as well. The vast majority of people will probably only make models if they can print them themselves, so if 3D printing is too expensive I think the pool of high quality modellers will be limited. But if it does become cheap enough then I don’t think it will take long for high quality Warhammer models to become readily available. 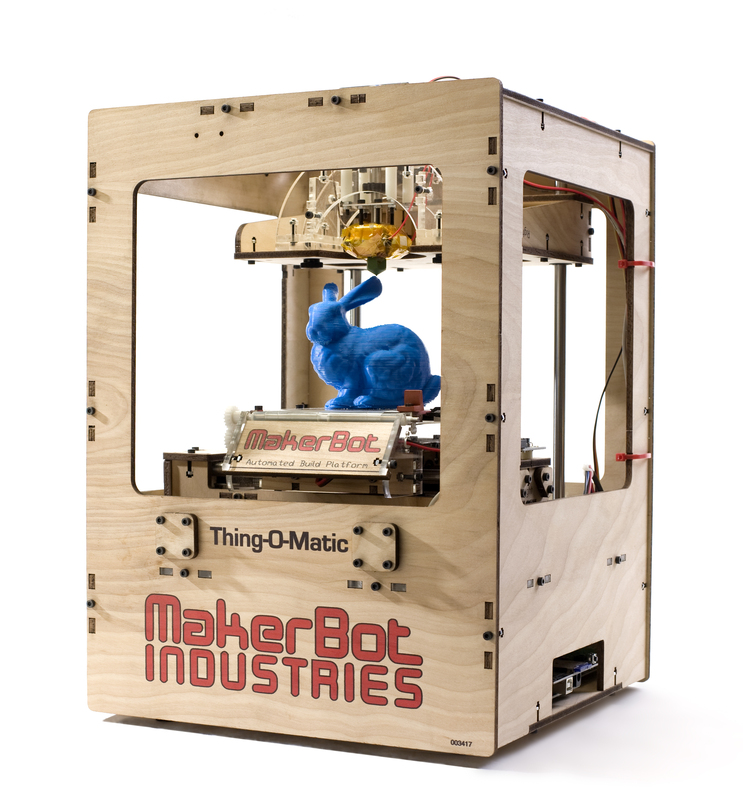 Of course price isn’t the only potential stumbling block, there is also the legalities of 3D printing. When it comes to the models, specifically if you’re printing them for non profit use in your own home, then trademark and patent law doesn’t really apply. The only thing you’ll have to worry about is copyright . If the models too closely resemble the GW designs then there may be a case of copyright infringement. Once again though I think the ingenuity and creativity of the people of the internet will find a way round this, maybe by altering their designs enough to avoid infringement, or even by starting up their own war games from scratch. I’m unsure about the legalities of the ownership of a set of game rules but after talking about it with Pete Hague and doing a bit of online investigating it would seem that the mechanics of a game of 40K cannot be trademarked or copyrighted but there is a chance that some of the finer gameplay mechanics may be patented . Patentable gaming mechanics are extremely limited and I would guess that most of the game play of 40K i.e. dice rolling, counting and measuring, is not covered by any patents. This means that provided you took out all the fluff, artwork and trademarked names you could probably freely distribute the bare bones of a 40K codex . Imagine the scenario, a person or group of people want to take up 40K, or any other tabletop war game. They will be able to get a free set of open source mechanics online and then they can go to Thingiverse or Shapeways or somewhere else and find an army template. They could then modify this using software like Blender or just print them out as is, and then paint them (or have them printed pre-painted). At what point do they have to give any money to GW? Games workshop is currently paid to create the fluff and artwork for the rules and to manufacture the figures of 40K. The rules and fluff can be done just as well by people online, and with 3D printing maybe soon so can the models. And there’s also the option of a group of people getting together and providing a 3D printing service for people who can’t afford the initial cost of their own printer but could afford to print their armies. I think Games Workshop are going to have to work very hard soon to make sure 3D printing doesn’t become the Exterminatus to their Typhon Primaris. We use a 3D printer at work, and even though it is the ‘cheaper’ model, it still had a price tag of several thousand pounds, plus more for accessories. But its paid for itself several times over with the money it has saved. One of the uses was taking the CAD model of one of spacecraft, modifying it for the lower resolution printer and printed out parts such as full panels (with equipment e.g. battery) and the main structure and even the instrument, which all fits together using magnets. We now have a engineering ‘tool’ used to physically show people a method of integration and a sense of scale. Getting it into the mainstream may take some time but already the price is starting to drop, and the people who pioneered it at work are looking for an even better model, for a small increase in cost. A simple solution for Games Workshop is to offer up the blueprints, and even the material for the printer for a reduced cost over the full model. Essentially you end up cutting out the middle man, which in this case would be the model manufacturer, while making the consumer do that job instead, which itself will be a cost saving. If they can get this transition into motion over the next few years, they’ll be in a good position for when this becomes more mainstream. But this may not happen for some years though…. Games Workshop may also use 3D printers themselves. Rather than mass producing the models they could print them in-store based on customer orders. I don’t know how much of a problem they have with old stock sitting on shelves, but if 3D printing does cut into their customer base it may no longer be more cost effective for them to mass produce. This http://mobileframezero.com/mfz/ springs to mind as something trying to straddle (or maybe just doing so accidentally) the pre and post cheap 3d printing eras. The rules are free, and it lets you use whatever you want as models, mostly suggesting Lego or similar things, which are readily available. Whether it’s any good I don’t know; I’ve never tried it. It does however look more future-proof in principle than the current Games Workshop approach. Very interesting. I had always assumed that there must be some sort of free war-gaming rules out there somewhere, but not being a war-gamer myself I’d never heard of anything but the “well known” paid ones. I would like to see what a 40K player thinks about the rules, see how they compare to the ones GW charge for. There should be no real reason the free ones won’t be as good or better than the paid ones. The idea of using LEGO for the troops and terrain is brilliant. Firstly it ensures consistency of aesthetics (which I think will be an important point for home made war-gaming) and also allows cool damage simulation. On reflection this is doubly interesting as I think most LEGO patents have now expired, and so assuming you take off any logos or other trademarked features you should be free to 3D print your own “LEGO” and customise the designs. Quite deliberate! There are some superpowers LEGO gives, too, though, like instant destructibility and easy rebuilding. I feel that legos would be a good idea as a 40k player and for the scenery/ models, but the idea of a 3D printer in a shop blow my mind. imagine creating your very own battlesuit commander to lead your tau army….at a reasonable price in the shop of course per model or per squad.